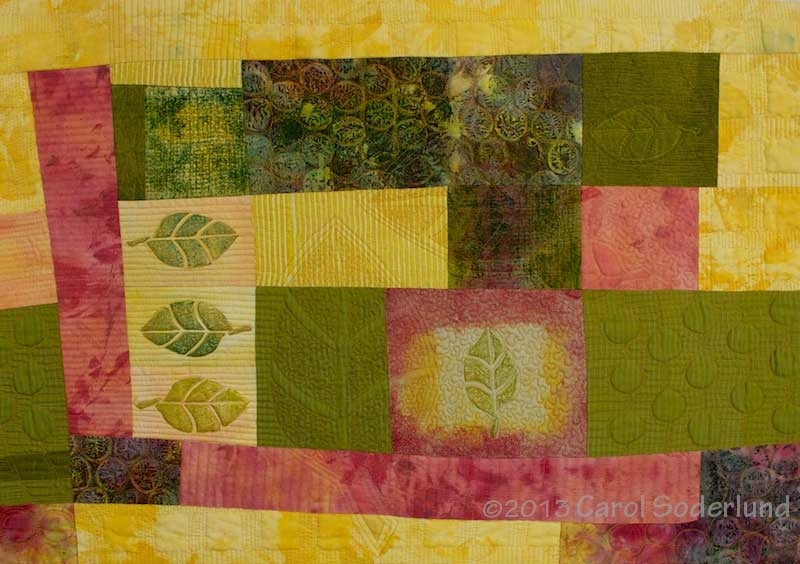 Carol began dyeing fabric in 1988 when she couldn’t find the colors she needed to bring the vision of a quilt to life. 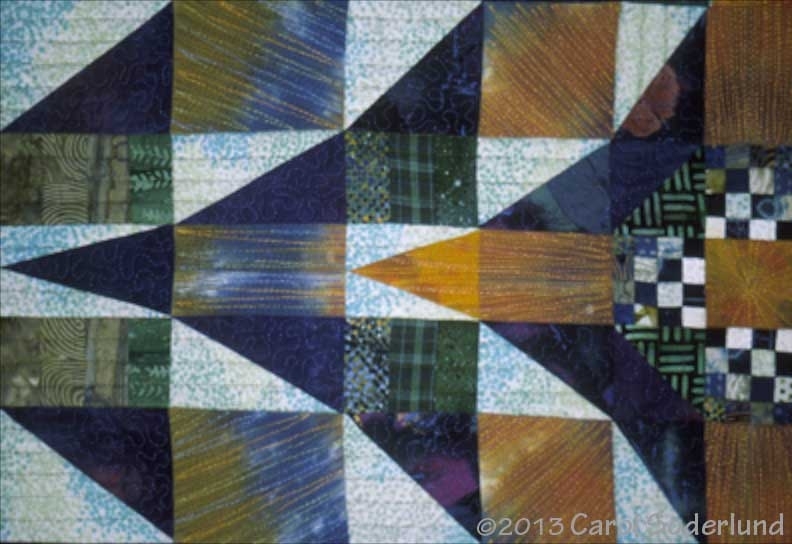 With her hand-dyed fabric she was able to create the quilt, which subsequently won Best of Show at the 1989 International Quilt Festival in Houston, Texas. 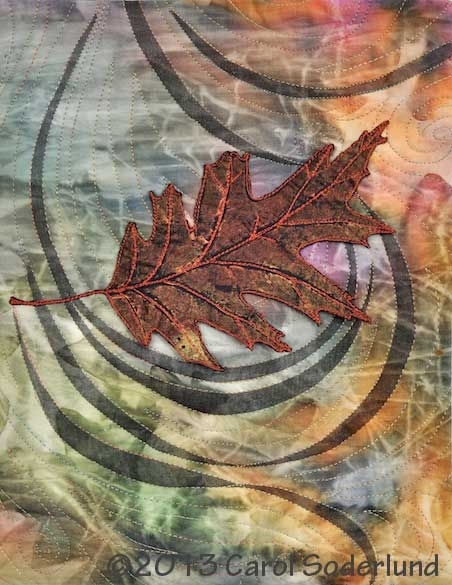 Since then, dyeing and surface design processes have become an enduring interest for her. 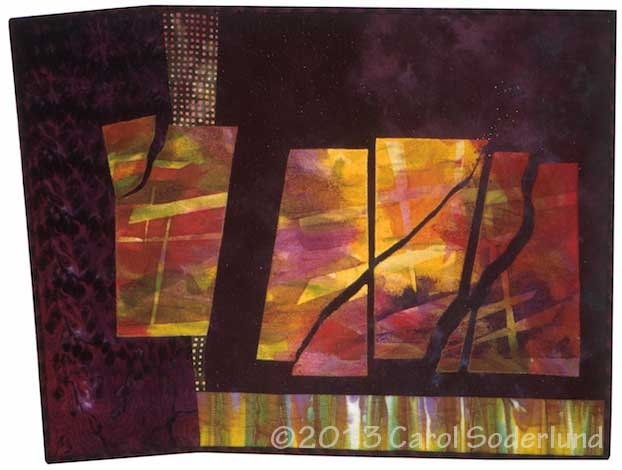 As a quilt artist, Carol is known for her use of color to create transparent, luminous, and dimensional effects of great subtlety. Her work incorporates hand-dyed, hand-printed, and discharged fabric in combination with commercial fabrics and intensive stitching. Carol maintains an active teaching schedule throughout the United States and in Canada, teaching her color mixing techniques at ProChemical & Dye in Massachusetts and Nancy Crow’s Timber Frame Barn in Ohio and Pacific Northwest Art School in Washington. 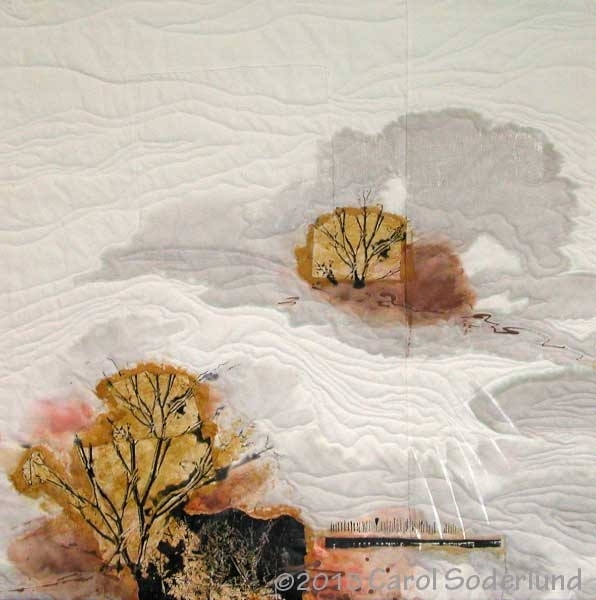 Her award-winning quilts have been exhibited nationally and internationally in such venues as International Quilt Festival (where she was a Best of Show winner!) Visions, Husqvarna Viking Masterpieces touring Exhibition. 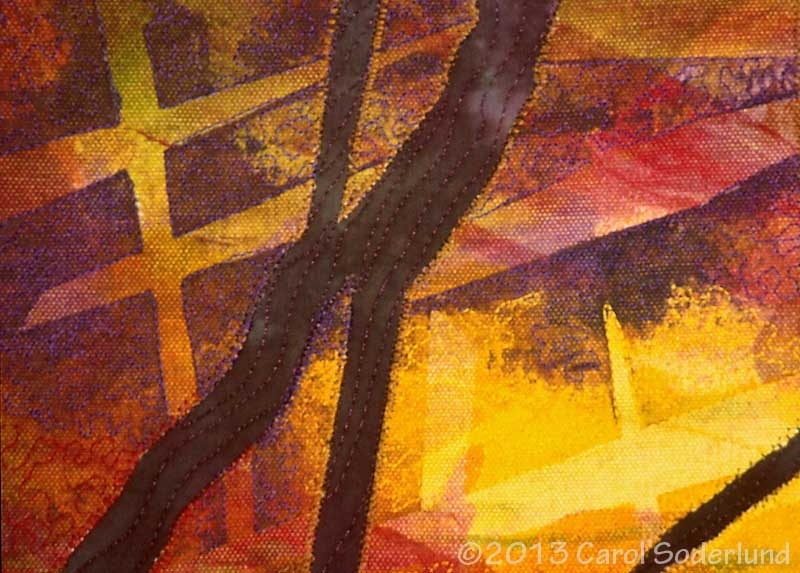 For Carol, the ability to dye any color and the increased understanding of the interaction of colors opens the door to spontaneity and intuitive use of color in her work. It is this joyful key to color she hopes to give her students.